Smartphones have brought us a ton of great capabilities. These days, smartphones have essentially replaced our computers, but that does come with just one downside: we just a lot more storage space on our smartphones this way, and unfortunately, smartphones never had a lot of storage space in the first place. When you max out storage like this, your smartphone generally takes a huge performance hit and slows down to a crawl. Luckily, there’s a way around this problem, and that’s with a microSD card. MicroSD cards can substantially expand your storage depending on the size of the card you pick up. A 256GB microSD card can easily turn your 64GB smartphone into a 320GB smartphone. That’s a ton of storage space, and it’ll solve most of your storage problems in just a couple of seconds. So if you’re ready to stop having performance issues due to storage problems, follow along with us below. We’ll show you the best microSD cards to go with your HTC U12 Plus. If you’ve never heard of SanDisk before, then you’ve probably been living under a rock. The SanDisk Ultra is one of our favorite microSD cards because it provides top-end performance at budget level prices. 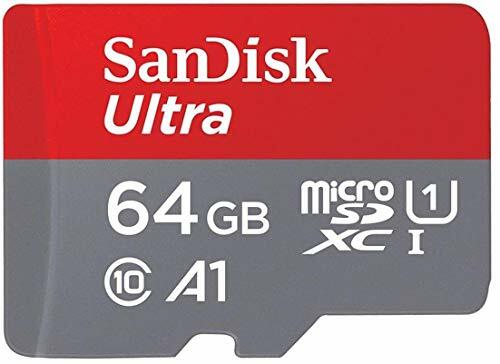 This one in particularly gives you 64GB of additional storage space, and SanDisk has actually been able to achieve data transfer rates of 100MB. With speeds like that, you’ll able to transfer massive photo libraries and large files from and to other devices in a jiffy. SanDisk offers multiple microSD card options in its Ultra lineup, giving you options as low as 8GB or models all the way up to 400GB. Samsung seems to have its hands in almost every industry, and one of those is the space of digital storage. They do an excellent job with digital storage, making fantastic microSD memory cards. We are looking at their EVO Select line, which Samsung aims to pitch as a top-end performer, but at budget level prices. 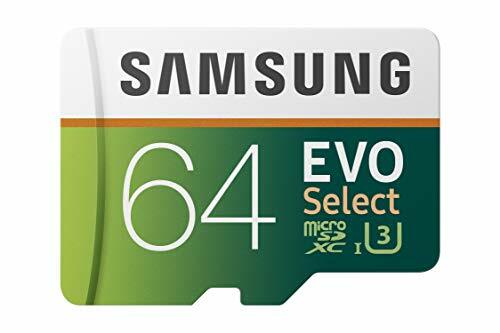 This one we’re looking at comes in at just 64GB, but Samsung offers EVO Select cards at much higher storage spaces as well, and consequently, higher prices. As far as data transfer rates go, you’re looking at speeds of 100MB per second. This makes it optimal for things like filming 4K video and transferring large, high quality media to and from devices. There are some neat protections built into the EVO Select as well — there’s protection against magnetic fields, x-rays, overheating, dust, water, and more. Samsung actually offers a 10-year warranty with your purchase. Are you looking for something more on a budget level? 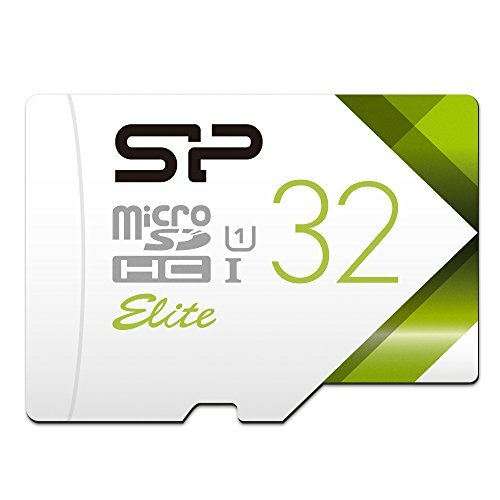 Look no further than the Silicon Power 32GB high speed memory card. You get 32GB of storage space with this memory card, and there’s some high speed data transfer rates in this memory card. Speed does depend on the host device, as well as a couple of other factors, but you can expect to get around 60-80MBps in speed. 32GB might seem small, but to put it in perspective, that’s around 12,000 photos or seven straight hours of high definition video. 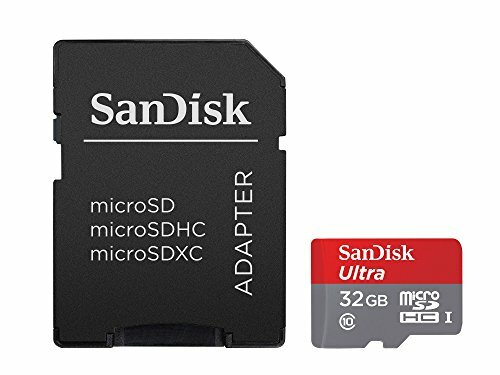 You might also want to consider the SanDisk Ultra microSDHC memory card. This one is similar to the Ultra in a lot of ways, but there are a couple of notable differences. Obviously, you get a whole 32GB less of space, but there’s some slower data transfer rates as well. You don’t get the 100MB in the traditional Ultra we mentioned earlier — speeds look more like 80Mbps. Not a huge drop, but still noticeable if you have large photo libraries and files to transfer. 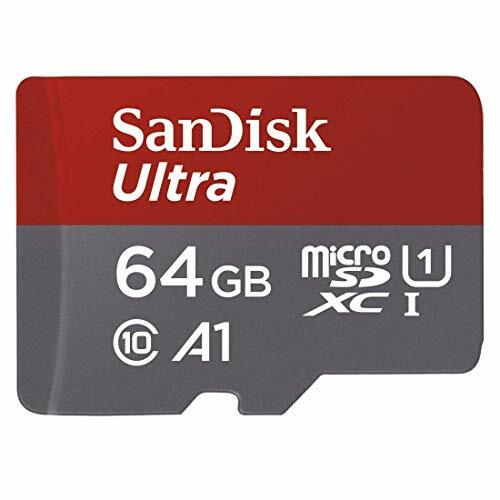 Similar to Samsung, SanDisk has some protections that they put in these memory cards, including waterproofing, shockproofing, temperature-proofing, and magnet-proofing. Last, but certainly not least, you might want to consider Samsung’s EVO Plus lineup of memory cards. At 256GB, you’re able to hold a ton of different files with this memory card. 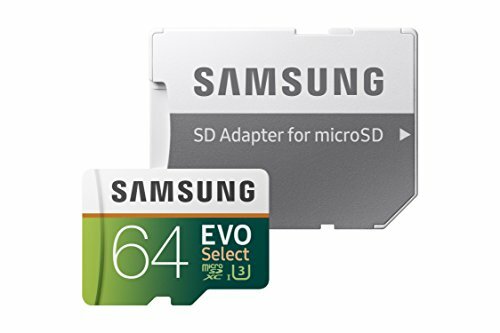 Samsung actually recommends this microSD card for 4K applications, simply because of the massive amount of storage space and the fast data transfer speeds. You get that same 100MB data transfer rate found in the EVO Select, but the big improvement here is that you get 90MBps write speeds, too. As you can see, there are a lot of excellent microSD cards out on the market right now for expanding phone storage. 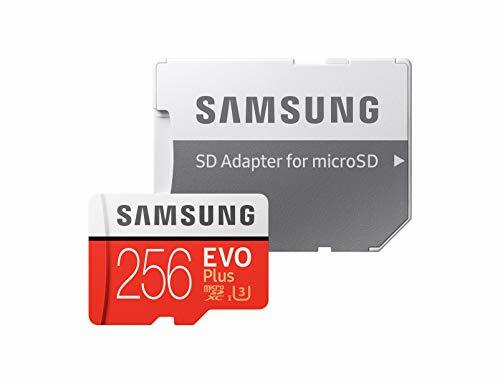 Any of these microSD cards will solve your storage problem, but if you’re looking for top of the line hardware, you cannot go wrong with the Samsung EVO Select or EVO Plus.